Stoneground very finely from soft English wheat grain. 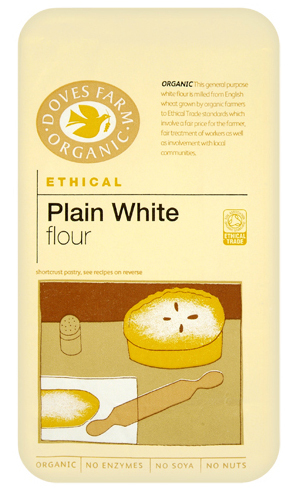 This 100% wholemeal organic flour is ideal for general use, making light wholemeal cakes, pastry and sauces. 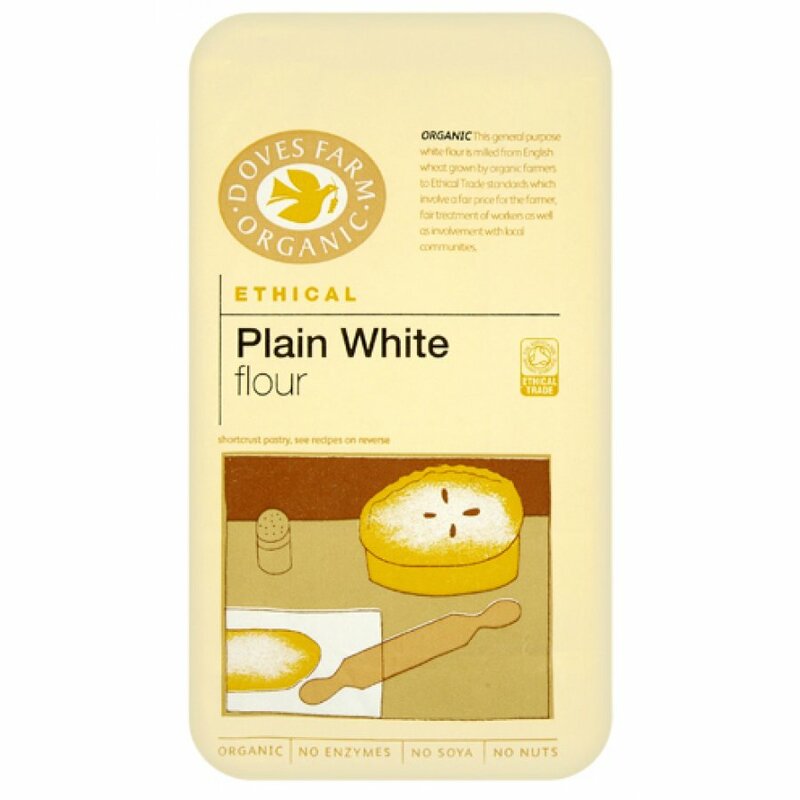 The Doves Farm Organic Ethical White Plain Flour product ethics are indicated below. To learn more about these product ethics and to see related products, follow the links below. This product is good especially being organic. The package has changed but the product remains reliably good. A: Hi, the bleaching of flours usually refers to a process where a gas is flushed through the flour, making it extra white. Most UK flours don't use this process. All Doves Farm products are unbleached. I hope this helps. Robyn.